The stock index is really nothing more complicated than the highs and lows of some particular set of stocks. This "set" may be all the stocks that exchange on a certain market or some other grouping. Both current and historic stock market indices can be used to help evaluate the best times to make investments. Note that there are several kinds of stock indices. Even a person who has never dabbled in stocks has heard terms like,the "Dow Jones Industrial Average" is one example of an index. In this case, the numbers represent the gains or losses from the entire clump of people who traded on the Dow Jones that particular day. The stock market index may be even larger, taking in all stocks traded in the United States - the Dow Jones Willshire 5000 Total Stock Market Index, for example. These kinds of stock indices are called "broad-based" and are really used as a numerical explanation of the stock market climate in general. Other stock market indices talk about similar exchanges or can be narrowed to specific stocks or specific types of stocks. A particular index may be limited to those companies serving a particular field - such as the medical or technological industries. Or it could be limited even further to those serving a particular branch of medical research. There are several significant points of the index, including the use of these numbers to evaluate trends with particular stocks. There are several types of stock indices. The two most common are weighted and market-value weighted. A weighted stock index takes in only the information - that a particular stock or group of stocks performed at this level on this day. The market-value weighted considers the size of the company. The value here is that you can compare small companies to larger companies in solid numeric terms. One significant aspect is that it can be used to determine when to buy and sell stocks, especially if you're looking to do short-term trading though it also has value if you're looking to purchase stock for a long-term investment. If you've watched the stock market, you know that stocks routinely rise and fall. With some companies, the only indication you have of what stock prices are likely to do is your instinct and your evaluation of the company's historic and recent success. But if you use the stock index to help evaluate the company's stock prices over a period of years, you may find that there are some fairly distinct patterns in the company's stock prices. One of the more typical trends is seasonal pricing. Companies that make the majority of their profits in one particular season will likely exhibit that trend through higher stock prices during that season. 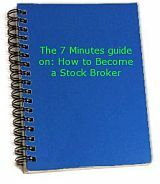 The result is a trend in the stock market index that can be used to help you determine when to buy, sell or trade that particular stock to your highest advantage. Those seasonal trends in a particular stock's index are probably the easiest to spot, but not the only way to use the stock market index of a particular stock.